I just popped into the Apple store yesterday, just because I hadn’t seen the new MacBook Pro with Retina display and am considering upgrading to one soon (see: next year, or maybe the year after…). Anyways. When I was there looking at all the tech stuff they had, I also went to their wall of little accessories you can buy for your iPhone, MacBook, iPad, iPod, etc. 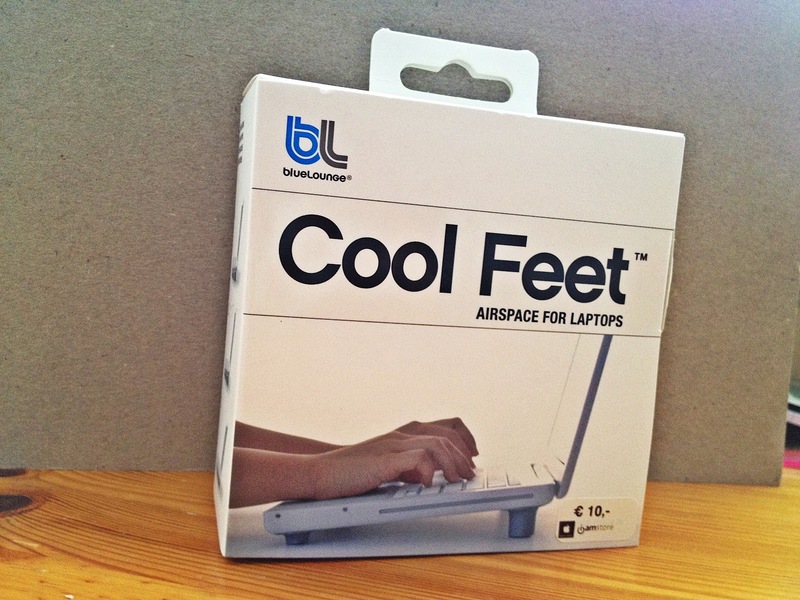 There I bumped into this: Cool Feet, airspace for laptops, a product I totally need! Don’t get me wrong, MacBooks don’t make as much noise as regular laptops (and then I mean you Windows!) and don’t have crazy heat (ventilator) coming out of the sides, but mine does tend to get warm after using it for a while. I use my laptop daily during my internship, mostly in the evenings, and also in the weekends – in short: I use the poor thing all. the. time. So as I couldn’t afford to bring the new MacBook Pro with me, I got the “Cool Feet” instead:-) It’s super easy to use, and not too expensive. 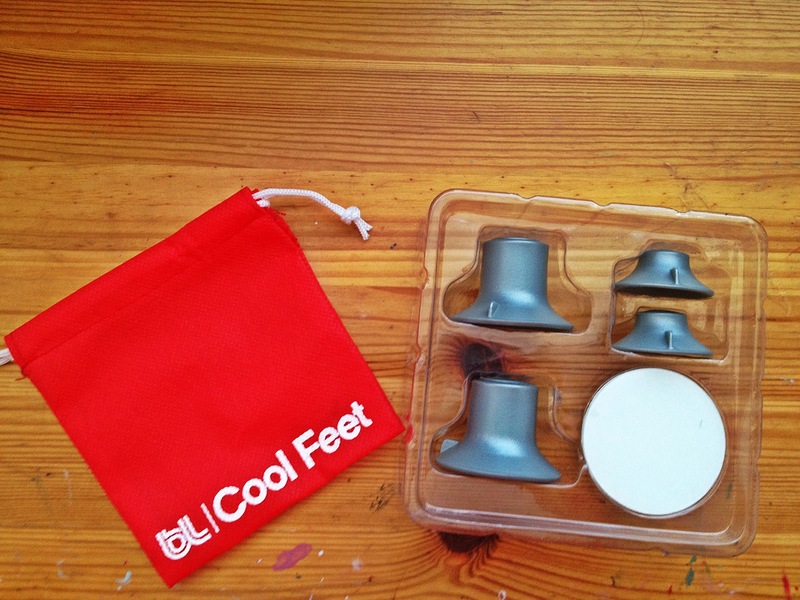 It was just €10, and came with a little red pouch to store the little naps/”feet”. Super handy, so I can bring these little things with me to work! 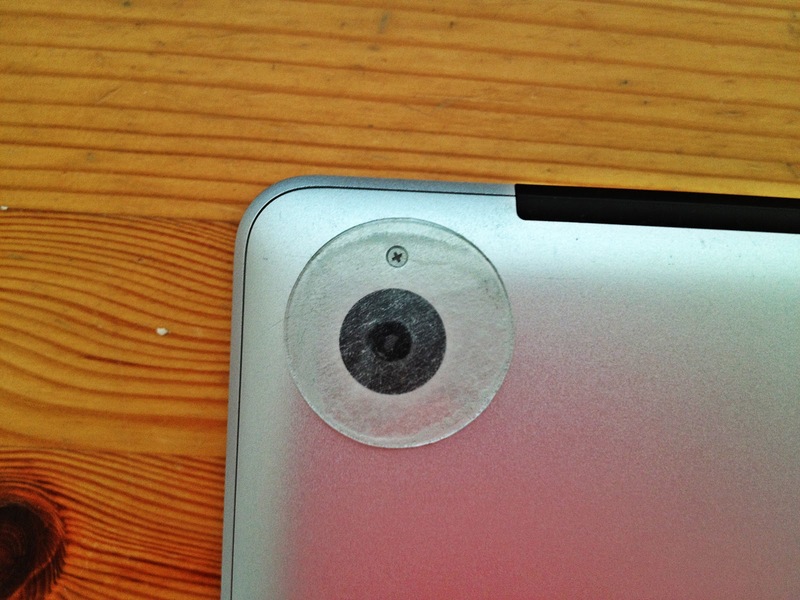 You just stick those transparent stickers that come with the product on the corners of your laptop. This way the naps/”feet” can be easily stuck on that area. I’ve tried it without those stickers, but then it just doesn’t really stick to the laptop itself. The sticker and feet are easily removed. I wouldn’t remove the sticker too many times though, because of the adhesive. But it doesn’t leave any residue, and I replaced it 3 times and it still stuck onto the laptop. The best gadget discovery I made this year, yet! And this is the result, a little standard that you can easily bring with you, that provides ‘more airspace’ to the MacBook. 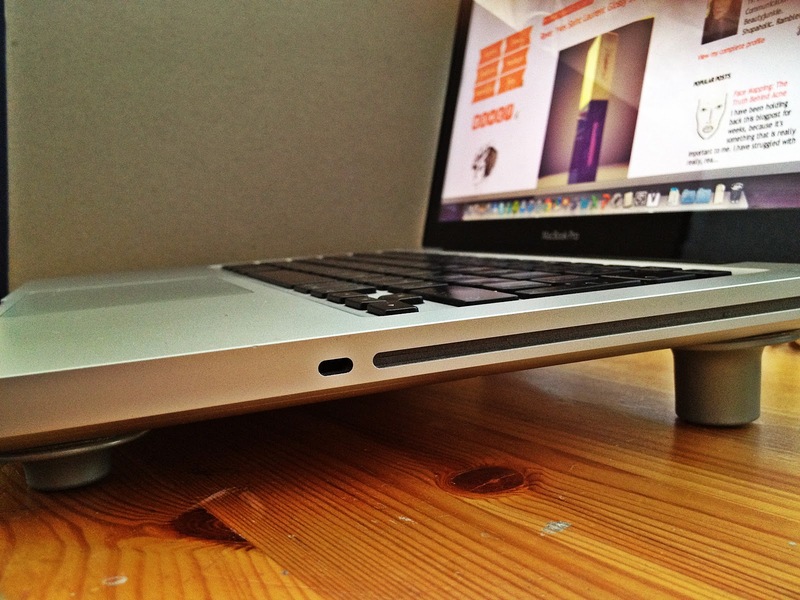 I’ve been using it for two days now, and really can see (hear and feel) the difference with, and without these little feet:-) I’d say this would work for any laptop, not particularly for a MacBook. But as some Windows laptops tend to be a bit heavy, I’d recommend asking them how much weight these little feet can handle. What do you think about this product, and what is your latest gadget discovery?